Quasi-Paraludes/Analogicum is a hybrid performance-improvisation-experiment that Larry Polansky (fretless guitar/electronics) and I (computer/electronics) have been working on. It is an attempt at reconstructing and integrating two pieces from the mysterious and little-known English composer Dirk (,) Rodney. 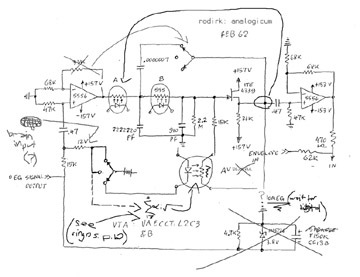 Analogicum (Feb, 1962), schematic for circuit of uncertain function, thought to be early biofeedback experiment, with envelope phase-locked loop control of proto-digital high-voltage switching circuitry. It is thought that Rodney abandoned this project because of the danger involved. The nervous twitch he developed later in life may have been the result of this work or his interest in the airborn transmission of DC current. 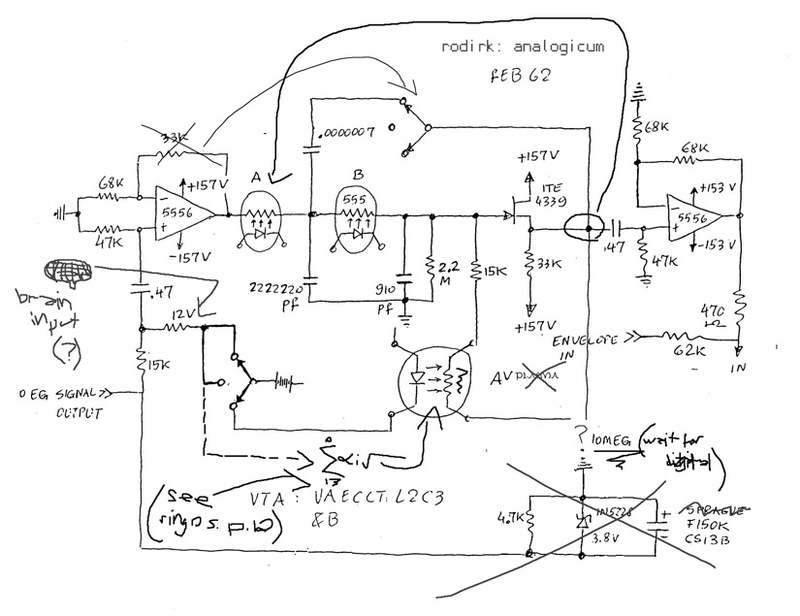 I have been working on software that digitally models the functionality of the Analogicum circuit.